Who's ready for some football?! I am. Today my bolts are playing my hubby's team, the Minnesota Vikings! I love pulling out my game day tee every week, kicking back with a cold beer and watching some football with my little family. Emerson doesn't have a clue, but she'll learn. Anyway, you don't have to wear a jersey to show spirit, but it doesn't mean you can only rock your game day tee with jeans. Win or lose I rock my Charger gear all year. With a new football season upon us it was time for some new tops. With a little help from my friends over at NFLShop.com I was able to update #MyNFLFanStyle. 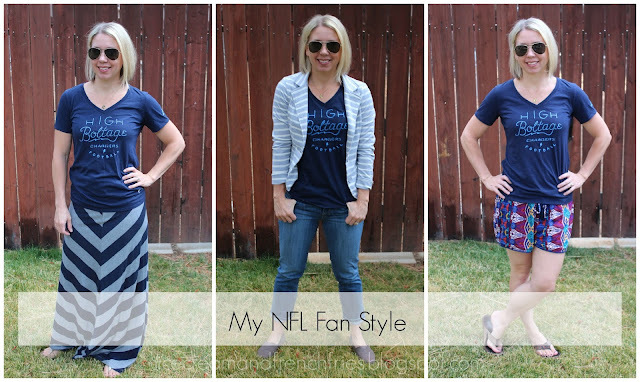 Wondering how I rock my San Diego Chargers gear? 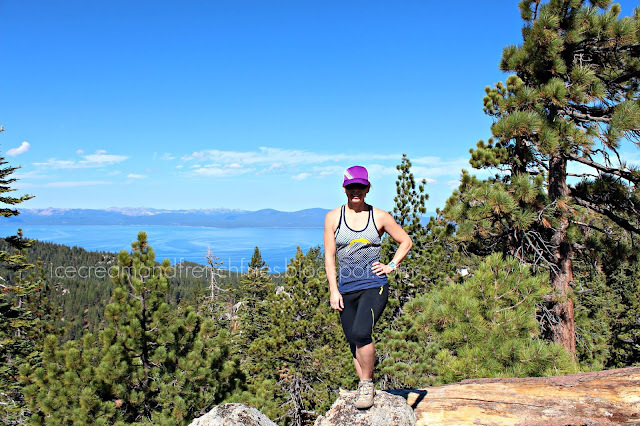 Check it out -- one shirt three ways. Because who said you have to watch football to rock your team shirt! 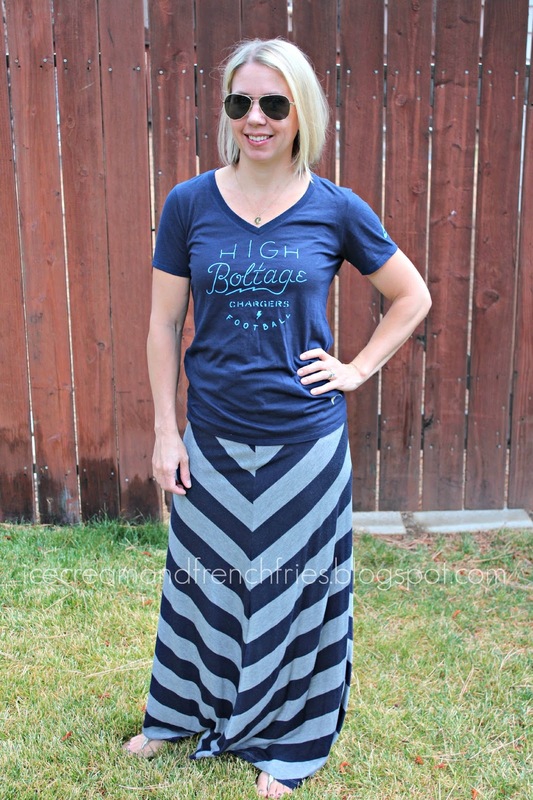 Team t-shirt + maxi skirt + cute sandals. How are you showing your team spirit this season? ...and a bonus look. Rep your team while you break a sweat whether it's at the gym or on a mountain top. Buy my Chargers tank HERE. Just found your blog! Cute outfit ideas. I'm a bills fan and today is a big game...squish the fish! Haha. I love football Sundays. Yay! Sundays are the best. Sadly, we lost today.